Entries tagged with “Christmas gifts”. A new carbon monoxide monitor. Not just a “normal” $40 model. A Nest Protect Fire & Carbon Monoxide monitor, which is in the $100 range. This thing is sweet. Talks to you, sends you a text message. Here’s a review from Cool Tools. Or, just buy it here. 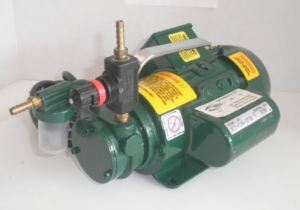 High flow air pump, Gast model. I have some other flow rate pumps up to 5 liters per minute (LPM), but this one is great for flow rates 10-up to 28 LPM (depending on the model). Good for high volume area type samples and vacuum wipe sampling. You must have 110 power available, but once calibrated, it’s a done-deal. They can be bought for under $250. Grab a rotometer too, if you don’t have one. Wireless response system to use during training. Attendees have a wireless response keypad and the trainer can ask a multiple choice question. It allows the audience to reply. The results then show up on the screen. Great for anonymous responses, or a general overview from your audience. There are several vendors, here’s an example, and the leader in the industry is Turning Point. I think these are in the $500-$1,000 range. A bulk asbestos example kit. A bunch of “typical” building materials which are asbestos containing. In sealed glass jars, of course. I don’t know where you’d buy this sort of thing. I wish I would have kept all of my samples over the years. A dedicated short term silica sampling kit. SKC has a new sampler which can sample at a higher flow rate of 8 LPM, compared with the usual 2.5, or 1.8 LPM. (which, if you think through the math; allows you to achieve a detection limit with a lower sample volume, and a shorter time duration) Unfortunately, you must purchase a new SKC Leland pump/charger, PPI sampler, calibration junk. Total cost is probably in the $2,000 range. Industrial Hygiene in Construction is powered by	WordPress 5.1 and delivered to you in 0.515 seconds using 25 queries.